LCpl. 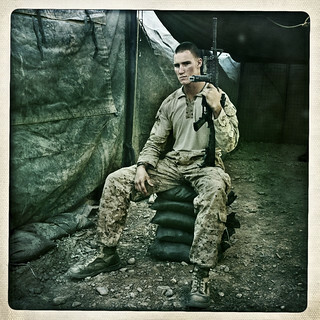 Shawn D. Cussick, a 19-year-old from Deltona, Florida, at Patrol Base Talibjan. LCpl. Cussick is a Pointman with 1st Battalion, 8th Marines, Bravo Company, Second Platoon. Photographed in Helmand Province, Afghanistan on November 5, 2010.